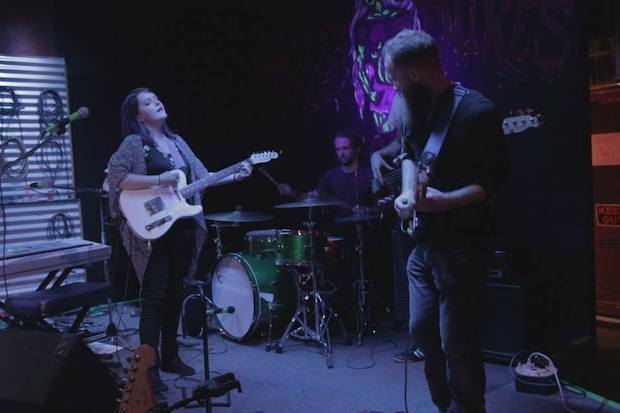 A couple months back, we told you about local alt-rock newcomer Kamber, and debuted a live video to promote her first EP Hurry Up (read this post). Now, seasoned by some gigging, frontwoman Kamber Kigin is back with a larger band, and ready to share her latest single, “War In My Head,” which will immediately be in your music rotation. May be a good idea to keep Kamber on your radar, because we have the feeling she’s just getting started. Enjoy the latest fruits of the band’s labor after the jump!